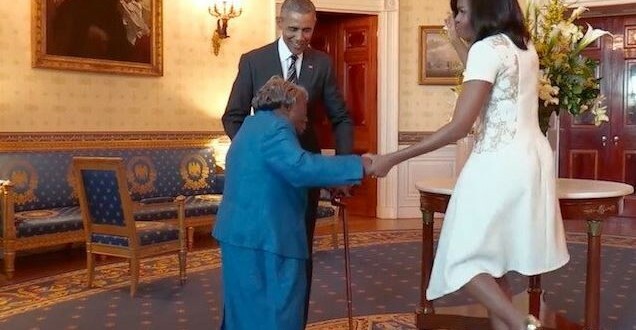 Obamas Share A Dance With 106 Year-Old Fan [VIDEO] - Joe.My.God. With the leader of the free world in one hand and Michelle Obama in the other, Virginai McLaurin danced with sheer and utter joy, shaking her hips like a 16-year-old and flashing a smile as bright as the camera flashes going off all around her. McLaurin was at the White House for a Black History Month event.